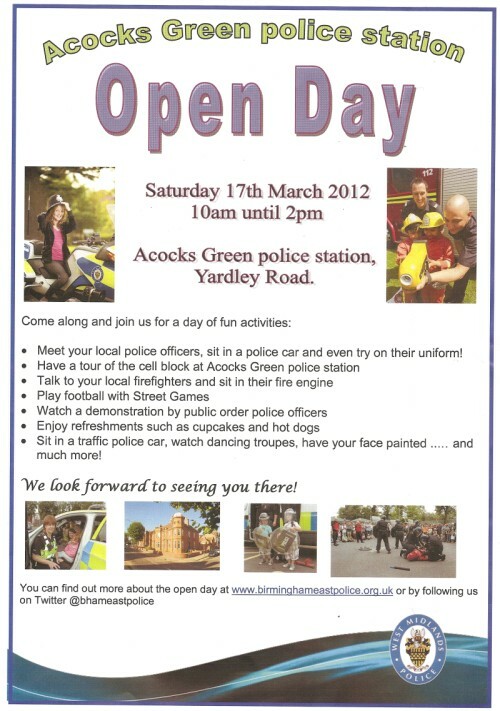 Acocks Green Police are opening their doors this Saturday, 17th March, to give local people an opportunity to learn more about their local force. See details below for a rare chance to see behind the scene in this listed landmark building. This entry was posted in Events, places on interest and tagged Acocks Green, Acocks Green Police Station, cup cakes, face painting, firefighters, football, hot dogs, police, street games. Bookmark the permalink.